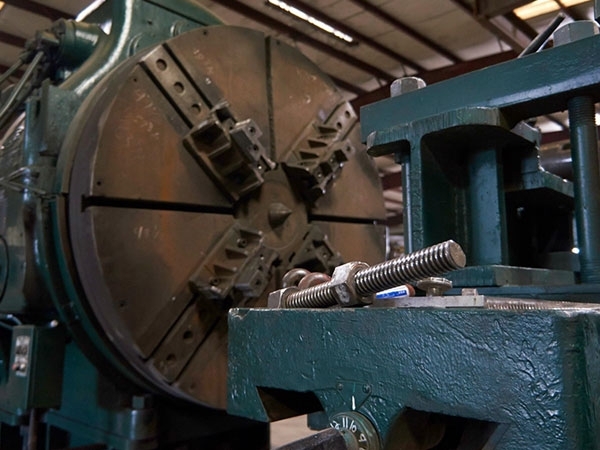 In Leeds, Alabama, we have the largest capacity for ductile iron pipe fabrication under one roof in the United States. We fabricate the entire 4”-64” size range and all the special fabricated joints & outlets that are necessary to service the projects. To learn more, please look through our Products pages or contact C&B Piping. Protecto 401 is the industry standard for corrosion protection for ductile iron sanitary sewers and force mains. 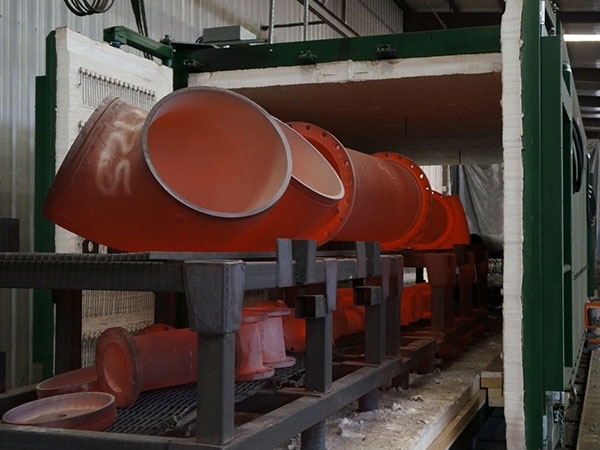 We apply Protecto 401 on ductile iron pipe, fab pipe, and fittings at both of our locations in order to provide timely service to our customers. We are proud to be an authorized & licensed applicator of Protecto 401 Ceramic Epoxy for sewer service. 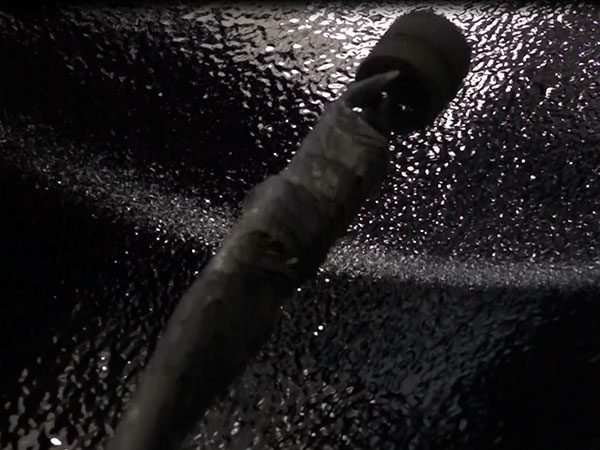 We are an experienced licensed applicator and have been applying Protecto 401 since 1999. 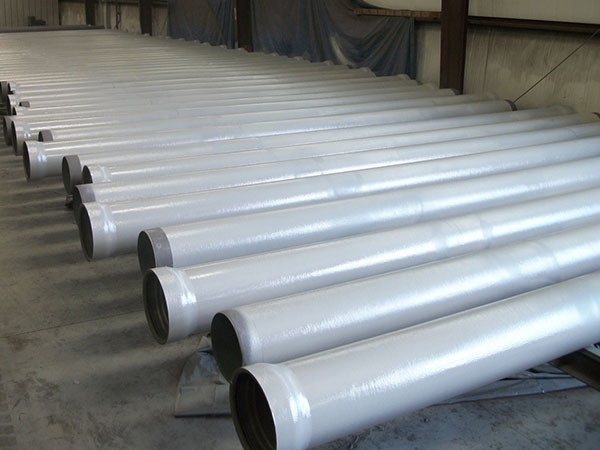 C&B Piping manufactures CBGL911 Porcelain Glass Lining for ductile iron piping systems. Glass lining is typically used to prevent clogging, build up, or wear for sewage service lines which contain solids content. Glass lining provides a superior non stick surface. 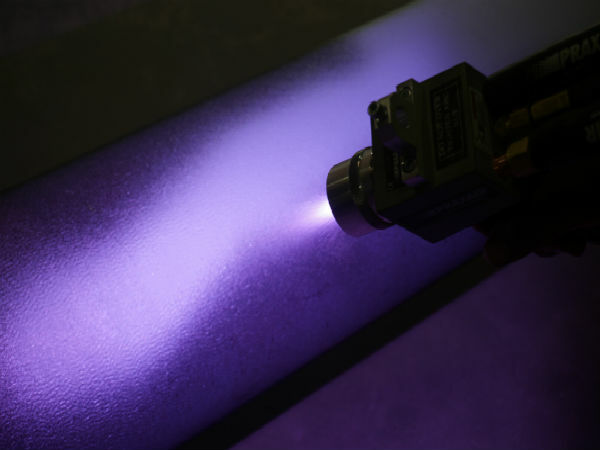 It is also abrasion and corrosion resistant. CBGL911 is deep green in color. CBGL911 has been offered since 2003 and has been installed in hundreds of treatment plants in the USA, Canada, and across the world. CBGL911 lined ductile iron pipe provides superior bonding characteristics over steel pipe due to the inherent surface characteristics of the centrifugally cast surface of ductile iron pipe. For more information, please contact C&B Piping, Inc.
C&B Piping provides Arc Spray Zinc application to ductile iron pipe, fittings, fab closures, and flanges. Our process complies with ISO 8179-1. Zinc is effective in providing cathodic protection to the surface of iron & steel which extends the surface life of the product. 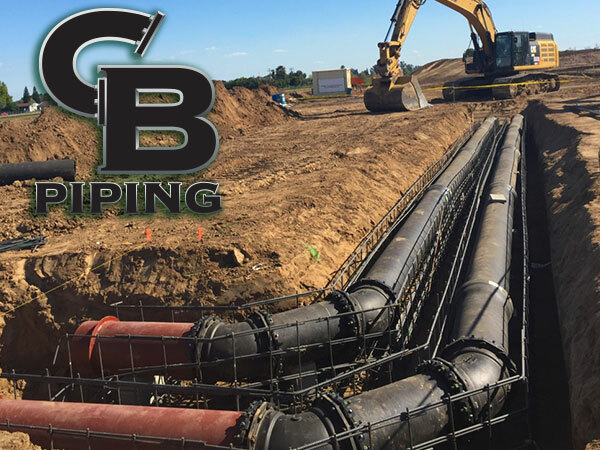 C&B Piping provides material take-offs and project price estimates taken directly from engineer’s plans & specifications. Each quotation includes all the ductile iron pipe systems required for the project listed by pipe system & lining/coating. Our easy to read format is used by our customers to review internal estimates for accuracy and to consider other ways of building the pipe system. We provide our estimates in spreadsheet format for those using spreadsheets to run material comparisons and cost evaluations. C&B Piping can furnish special application linings or coatings on ductile iron pipe & fittings. We offer Ceramapure PL90 NSF-61 approved lining for potable water and salt water applications, and special exterior coatings such as Sherwin Williams ZincClad XI to meet ISO 8179 specifications. In order to further assist the contractor, C&B can provide ductile iron pipe layout drawings for the project. Our drawings illustrate the piping system and include a listed bill of material on the drawing to facilitate a clear and easy process for releasing to production and tracking the material onsite through installation. Each item is marked with a tag number and associated to the drawing. Our drawings can be used as a submittal to the engineer if desired. Our customers can modify the drawing to match field conditions and it can be used as an “as built” as needed by the contractor. C&B enjoys over 30 years of focused service on the unique needs of the water and wastewater contractor. Our seven sales people have over 175 combined years of experience with ductile iron piping products and contractor installations. 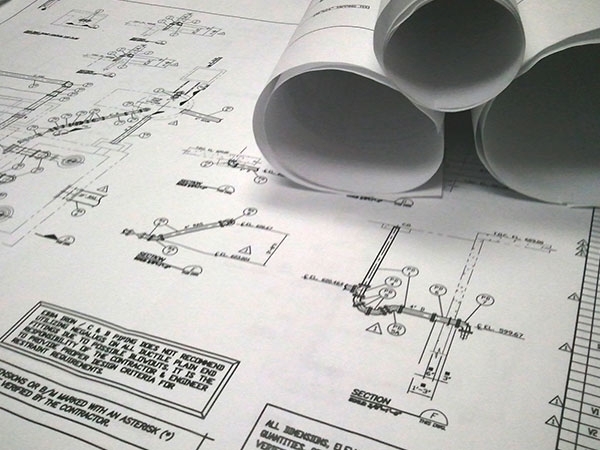 Our experienced drafting team enjoys assisting the contractor and engineer with improving their pipe layouts and designs. 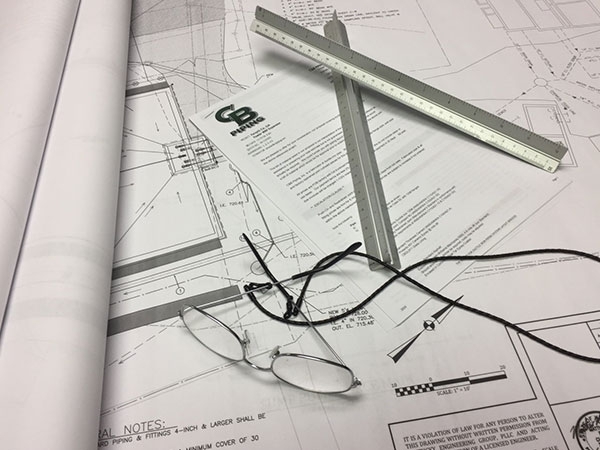 We are actively reviewing project plans and specifications and providing layout assistance targeted to either reduce unnecessary product costs or enhance the value of the final pipe system. We are here to help you. C&B currently uses AutoCad® to develop our drawings and we provide the AutoCad® files to you including in the cost of this service. At C&B Piping, we know our work starts when you trust us enough to give us the order. Our sales team will assist in development of product submittals, project kickoff meetings, training sessions, project scheduling overview, expediting the early releases for production, and many other important parts of keeping the project moving towards success. Our sales team will stay with the project until it finishes, developing much needed personal knowledge of the specifics of what will make your project the best possible. Copyright © 2019 C&B Piping,Inc.